Retired by Schleich in 2016 - Get yours while supplies last! 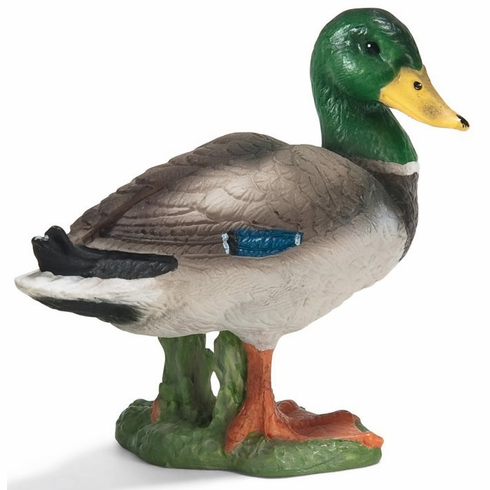 Male ducks are easily identifiable by their colourful, iridescent plumage. After breeding, the drakes lose their colourful feathers and don their so-called eclipse plumage. During this time, only the yellow bill can be used to tell them apart from the females. This Drake measures approximately 1.9 inches. Part of the Farm Life Series by Schleich.